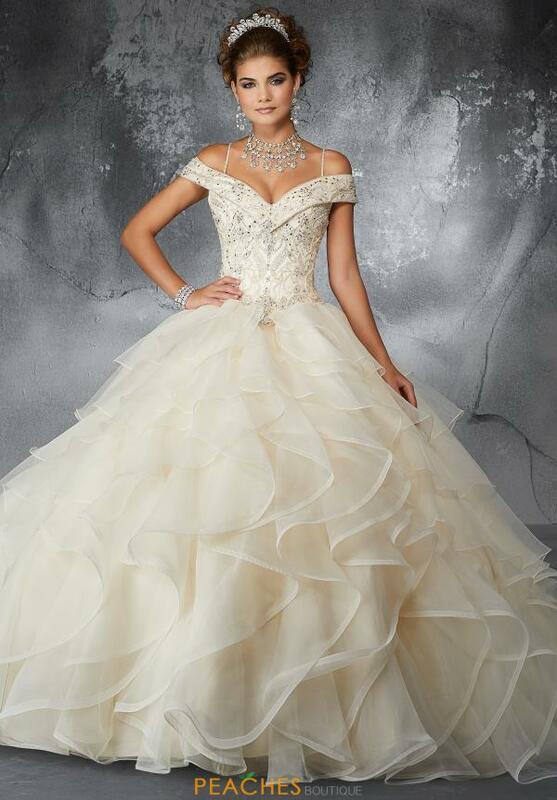 This unique ball gown 60059 will ensure that you are the star of the show. 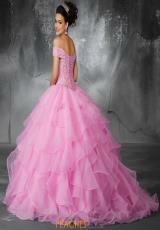 Featuring a stunning sweetheart, off the shoulder neckline with bead work and embroidery throughout the bodice. An exquisite lace back leads into a ruffled, organza skirt. A show stopping train will make sure that all eyes are on you. 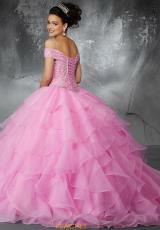 Find this style and similar Vizcaya styles at Peaches Boutique in Chicago.